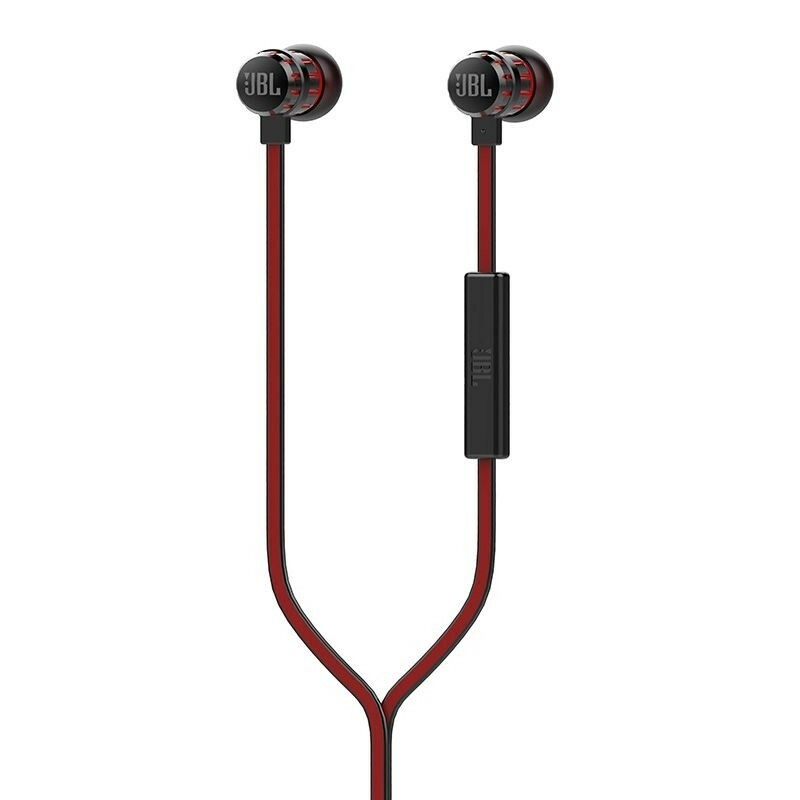 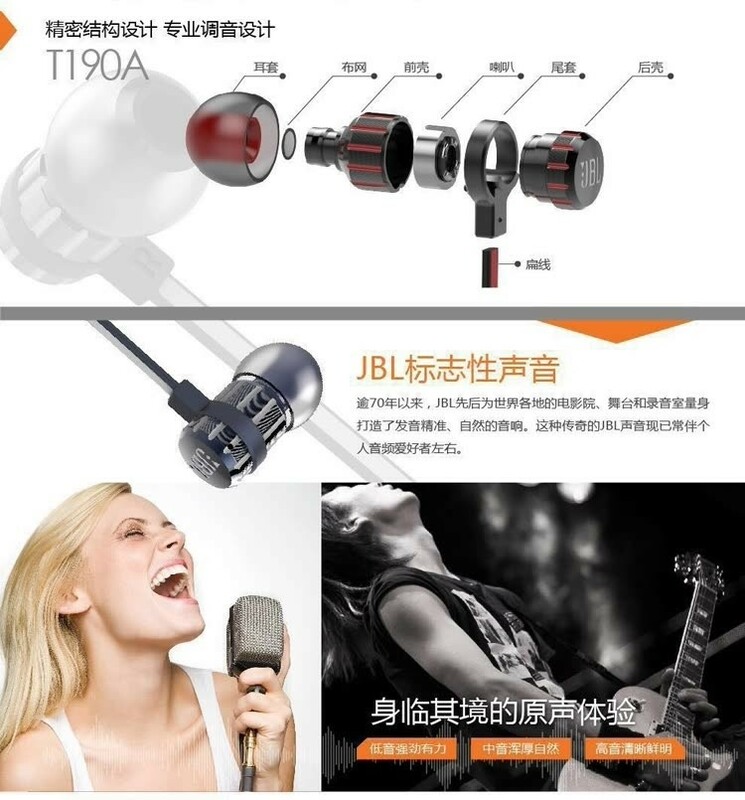 T190A in-ear earphones are lightweight, comfortable and compact. 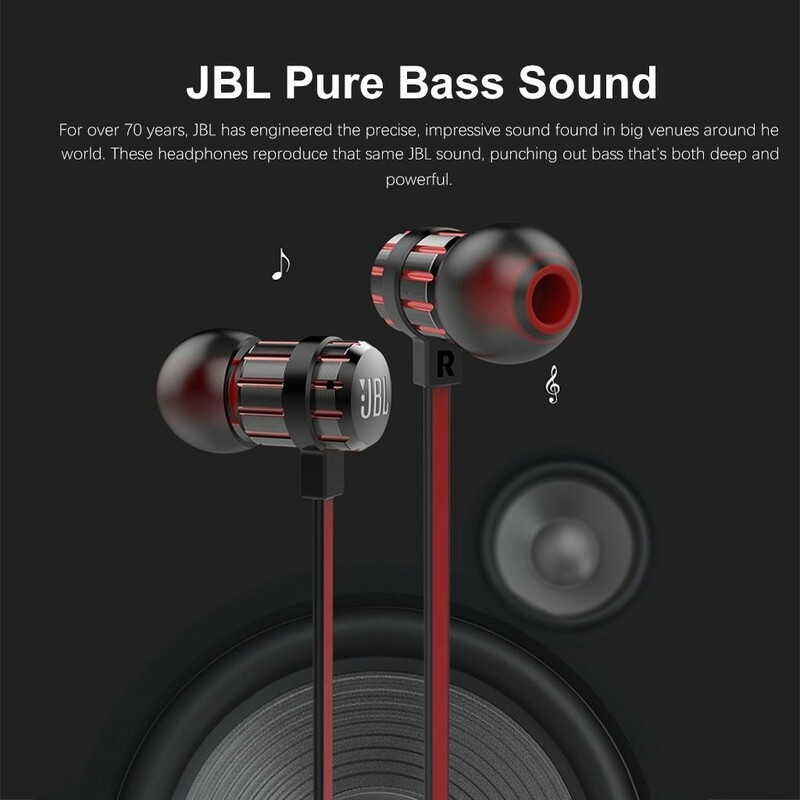 Under the metallic-finished housing, a pair of 8mm drives punch out some serious bass, reproducing the powerful JBL pure bass sound you’ve experienced in concert halls, arenas and recording studios around the world. 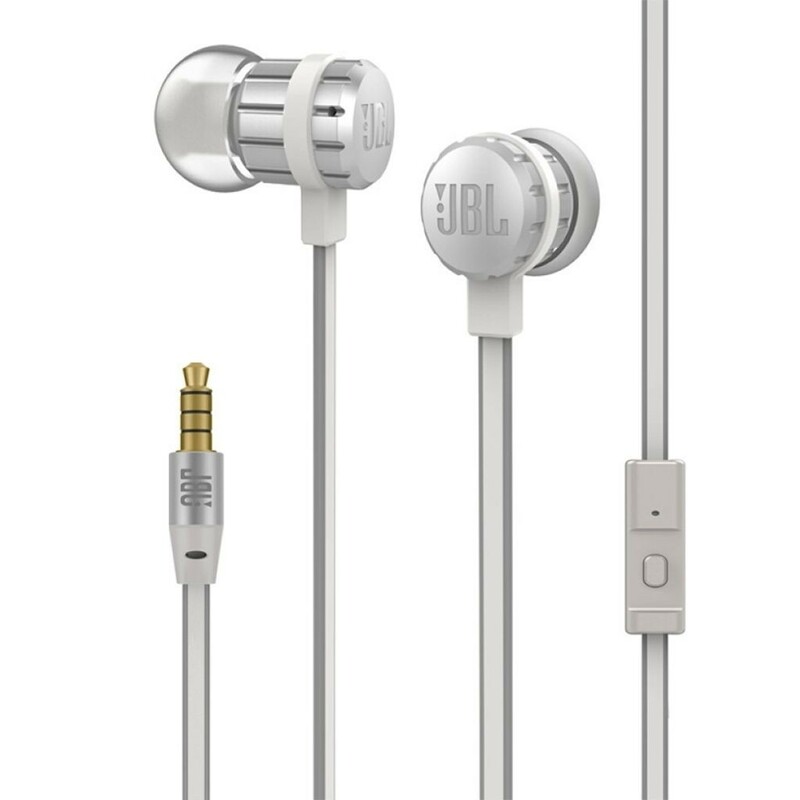 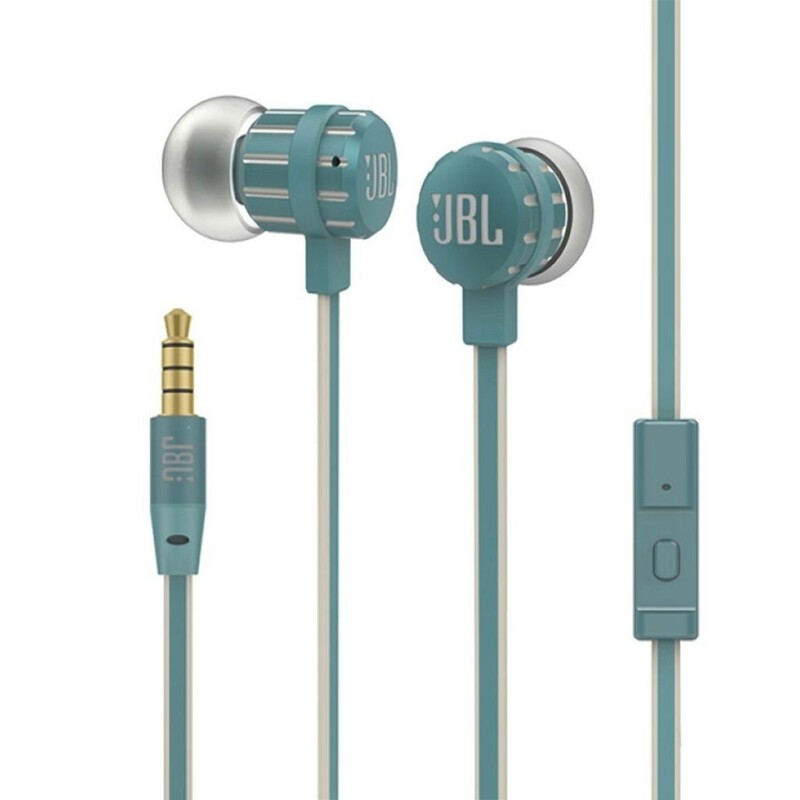 In addition, the single-button remote lets you control music playback, as well as enjoy handsfree calls with a built-in microphone; all these making JBL T190A your everyday companion for work, at home and on the road. 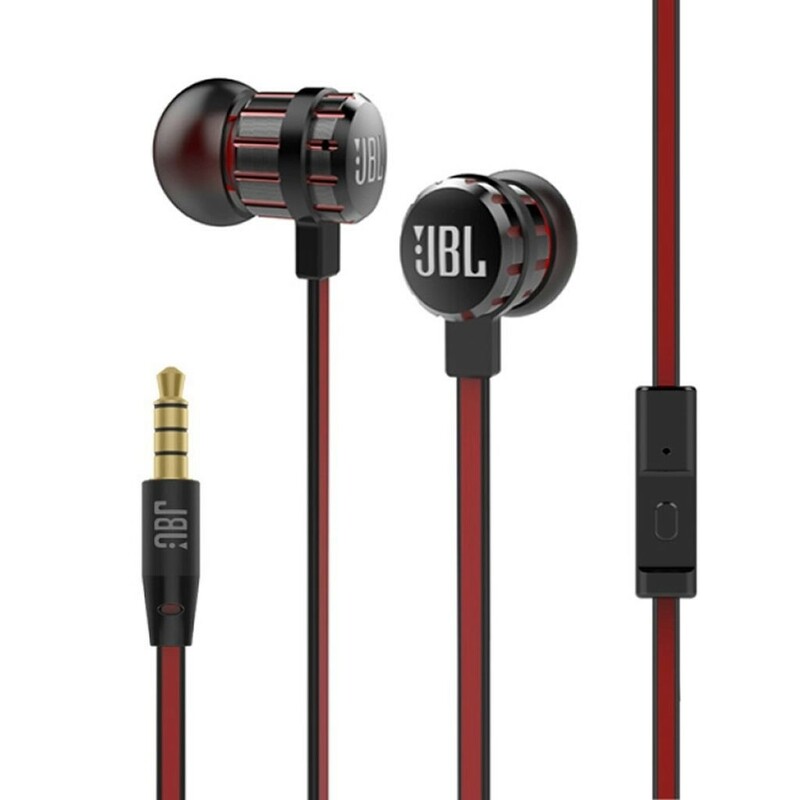 For over 70 years, JBL has engineered the precise, impressive sound found in big venues around he world. 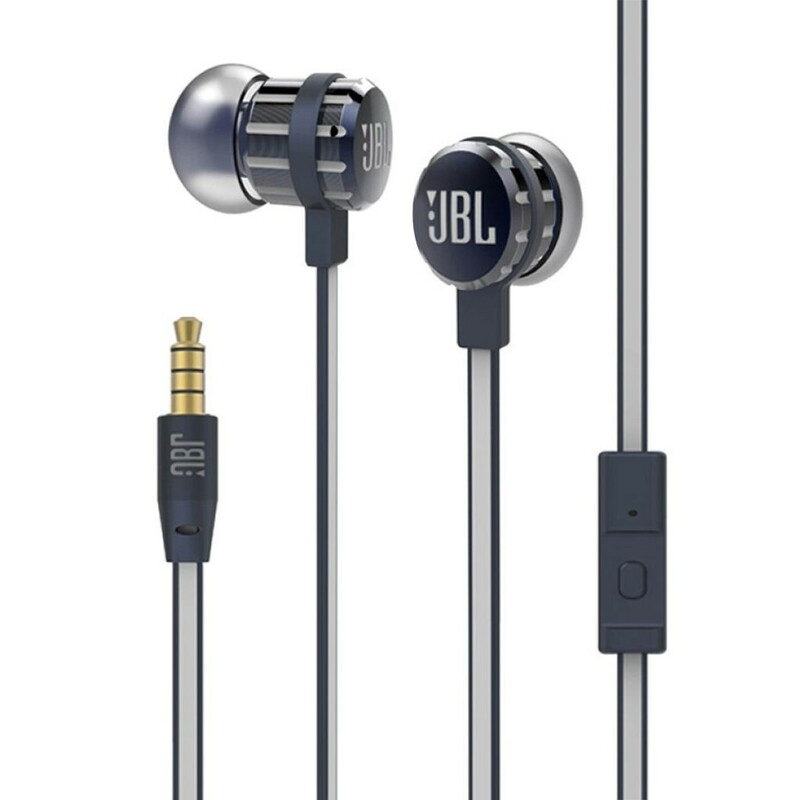 These headphones reproduce that same JBL sound, punching out bass that’s both deep and powerful. 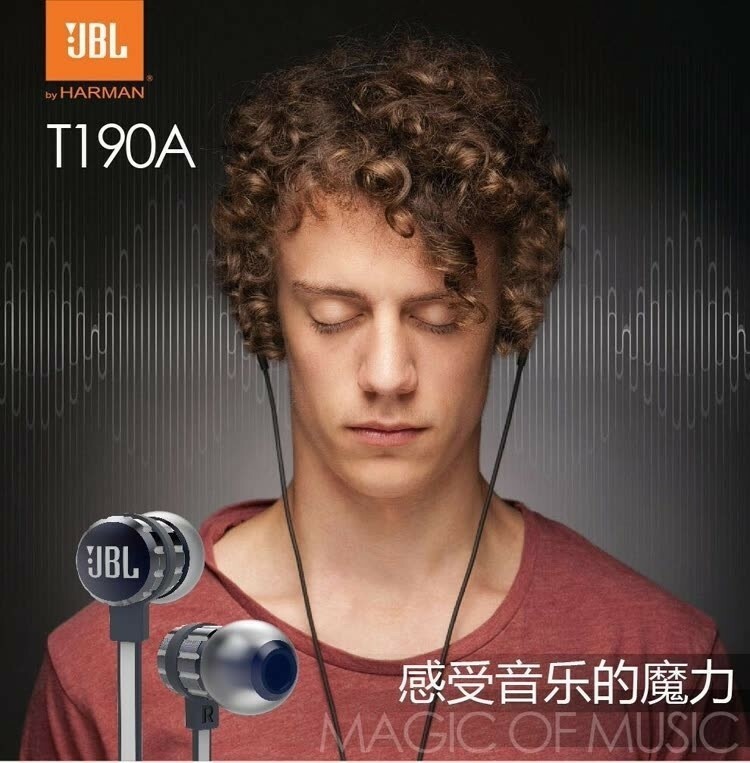 Enriches with metallic touches, the T190A doesn’t compromise on design quality. 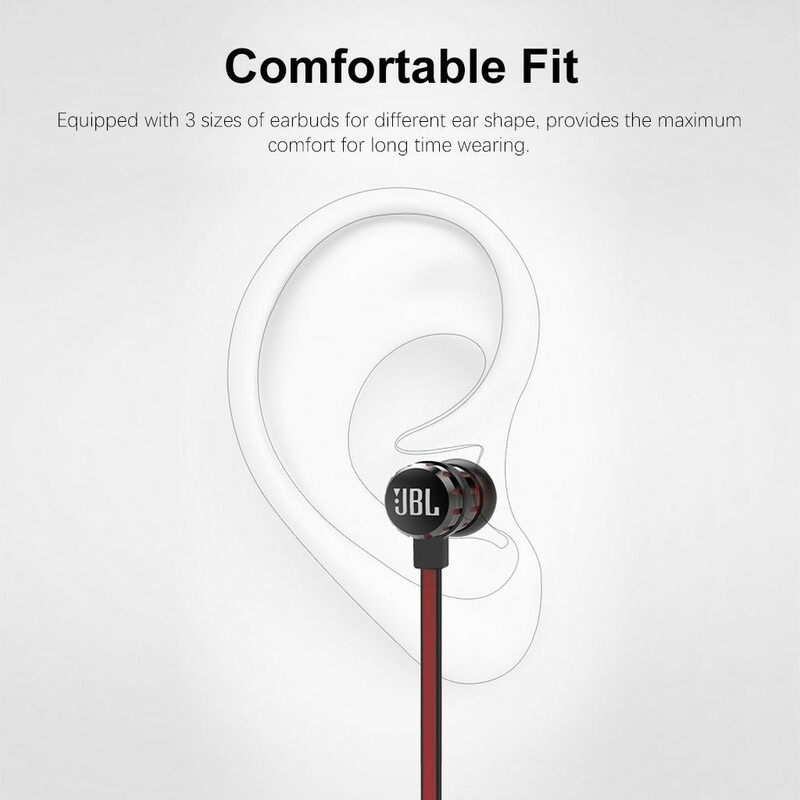 Equipped with 3 sizes of earbuds for different ear shape, provides the maximum comfort for long time wearing. 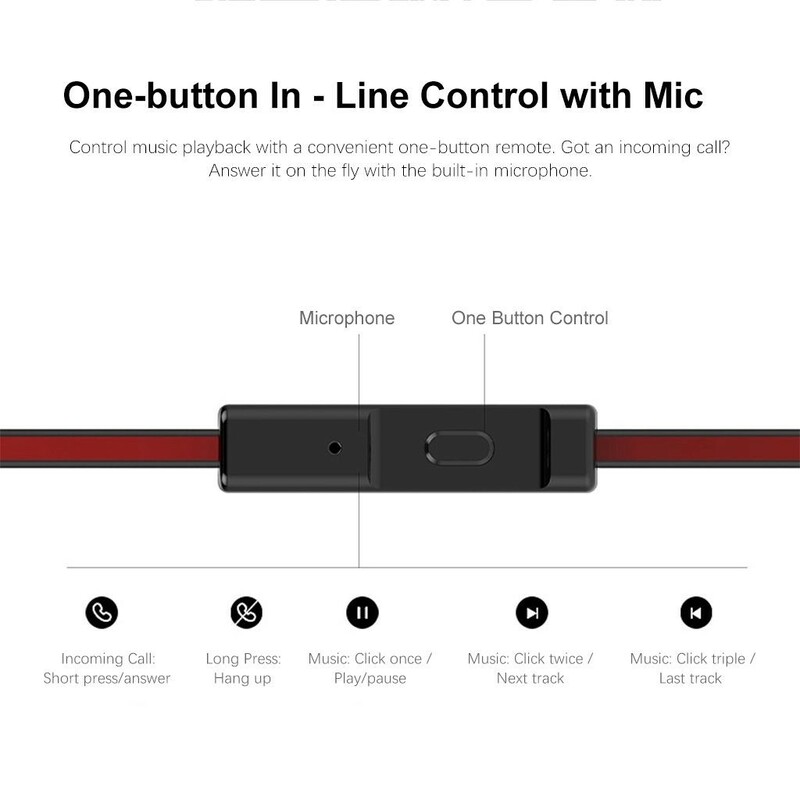 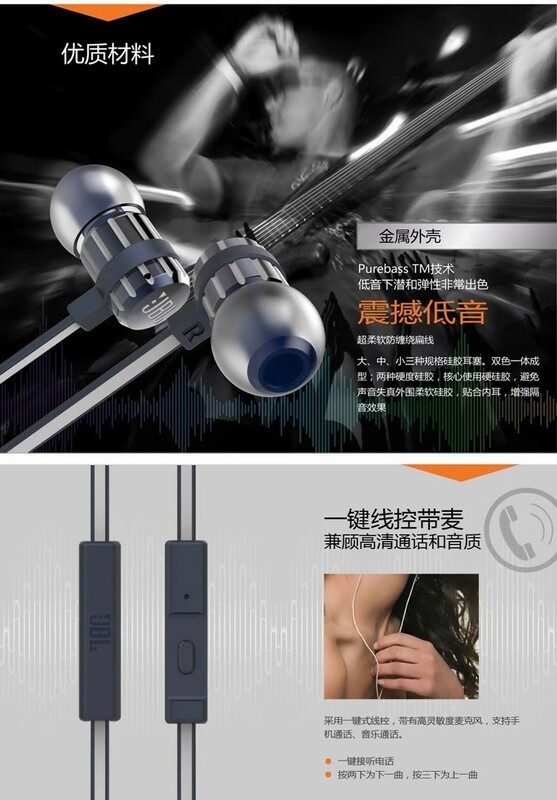 Universal 3.5mmconnector, compatible with mobile phones, tablets, MP3, MP4, speaker and other devices with 3.5mm interface.